Liverpool HAVE bid 9.5 million pounds for Udinese’s Polish star Piotr Zielinski, confirm the Liverpool Echo. According to the Echo, Liverpool have put in a £9.5million bid for Piotr Zielinski and believe that Jurgen Klopp’s pull and Liverpool’s willingness to pay for the players asking price would be enough to complete the deal for the Udinese man. The Echo also report that the player has rejected a move to Napoli to join Liverpool. Napoli have an agreement in place with Udinese for the player, according to their President. Napoli’s President, Aurelio De Laurentiis, was recently quoted saying, “Liverpool have made a bid for him and Zielinski wants to join them but we are trying to convince the player to join us, because we have an agreement with Udinese.” But the Echo understands that a U -turn from the player is highly unlikely as Zielinski has his heart set out on a move to Anfield. The Liverpool boss is believed to have spoken to the player over the telephone as well, assuring him that he would be a major part of his plans going forward. Zielinski has featured 13 times for Poland, having scored 3 goals. He is also amongst the substitutes for Poland’s ongoing game against Northern Ireland. Poll: Would You Like To See Gonzalo Higuain at Liverpool? Although highly unrealistic, but would you still like to see Gonzalo Higuain at Anfield next season? Vote here! Would you like to see Gonzalo Higuain at Liverpool? The German striker, whose time at Anfield was ruined by injuries, will be leaving the club next summer. Liverpool youngster Samed Yesil will be leaving Merseyside on a permanent basis after the club decided not to offer the German forward a new contract. The 22 year old is out of contract at Anfield and will now be looking to find himself a new club, with Turkish side Trabzonspor his preferred destination. “I have received offers from Trabzonspor for the past four years,” Yesil told Turkish publication Super Haber. Liverpool bought the highly rated German from Bayer Leverkusen back in 2012 for a fee of 1m pounds. Yesil made two senior appearances for the Reds, both under former manager Brendan Rodger. The youngster, however, was unable to get himself back in the senior picture due to two serious knee injuries. He was loaned to FC Luzern at the start of the 15/16 season. Liverpool Interested in Gonzalo Higuain? Reports suggest that the prolific Napoli frontman is interested in joining the Reds despite their lack of European football. The report comes from the Mirror, who believe that the Argentine hotshot is interested in working with Jurgen Klopp as he prepares to revamp Red’s strike-force. Higuain, who has scored 36 goals in 35 league games for Napoli, is apparently trying to force an exit from the Stadio San Paolo, with Liverpool his favoured destination. The former Real Madrid frontman, who has scored 71 goals in 104 Serie A games for Napoli, would certainly be a marquee signing for the reds. But could a move for the Argentine really be on the cards? Well, it seems highly unrealistic. Napoli, who paid Real Madrid 34.5 million pounds for Higuain’s services back in 2013, would certainly not let him leave for cheap. Napoli’s president, Aurelio De Laurentiis, last year revealed Higuain’s buy out clause, which is set at 72m pounds. Would the reds be willing to splash out so much money for a player who is 28 years old? It seems extremely unlikely. All top Merseyside journalists including Paul Joyce of the Express, Andy Hunter of the Guardian, and Chris Bascombe of the Telegraph reporting that Liverpool are interested in Southampton’s Saido Mane. After the failure to sign Mario Gotze from Bayern Munich, Liverpool have turned their attention to Southampton’s Saido Mane. The 24 year old Senegalese, who is also a target for Manchester United and Tottenham, was Southampton’s top scorer in the 15/16 campaign scoring 15 goals in all competitions. Jurgen Klopp is interested in signing a player who suits his high intensity style of football, and he believes that Mane fits the bill perfectly. Liverpool have not yet approached Southampton for Mane, who is under contract till 2018, but Klopp wants several additions for next season despite the absence of European football. “The door has not been completely closed on Gotze because of Klopp’s relationship with him, but the pursuit is effectively over unless there is another major and swift u-turn from the player. Liverpool are not expecting Gotze to change his mind again and have no appetite to await the outcome of whatever game is being played in Munich between player and club. Klopp certainly can’t wait and let other targets go elsewhere, which is why Liverpool are assessing their chances of taking another of Southampton’s stars”, reports Chris Bascombe of the Telegraph. Could A Move For Gotze Be Back On? After reports coming out in the past few days that Mario Gotze has rejected a move to Liverpool, Bayern’s CEO Karl-Heinz Rummenigge has warned the forward that he might have to settle for a place on the bench. Bayern Munich’s CEO Karl-Heinz Rummenigge says that the forward must decide for himself whether he wants to move away from the club. Gotze, who has endured a tough time at the Allianz Arena since his move from Dortmund, recently poured cold water on reports suggesting a reunion with former coach Jurgen Klopp, saying he was looking forward to next season with Bayern under new manager Carlo Ancelotti. The 23 year old forward, who famously scored the world cup winning goal for Germany, is a certain target for Liverpool, and after Bayern’s CEO’s latest comments, there is speculation that a move to Anfield for Gotze might still be back on. Rummenigge has certainly refused to give Gotze any guarantees for being in the starting XI for next season. Such comments from the CEO also raise the question of whether the club are trying to push the forward out by asking him to reconsider his future. Melissa Reddy of Goal.com, however, completely rubbishes these rumours and says that Ben Chilwell of Leicester City remains Liverpool’s main left back target. Next up is Porto winger Yacine Brahimi. According to Portuguese publication A Bola, Liverpool are “very close” to landing the Algerian, and are prepared to spend a club record of 45m pounds to bring the winger to Anfield. The report also says that Manchester United is also interested, but Jurgen Klopp’s side are keen to get the deal done quickly. Some outlets in the British media also picked up the report, but said that while the reds have spoken to Porto about a potential transfer, an official bid is yet to be made. Now news regarding some potential outgoings. Martin Skrtel could be on his way out of Anfield, claims his agent. The Slovakians agent, Karol Csonto, is 90% sure that his client will leave Merseyside this summer. He told TV Markiz in Slovakia: “Besiktas is one of those interested in Martin, but we haven’t reached a point where I can confirm Martin is going there, or anywhere else. And finally, there is twist in Liverpool’s pursuit of Bayern Munich’s Mario Gotze. The 23 year old forward in a recent interview to German news outlet Bild was quoted saying, “I’ve had very good talks with Ancelotti, and I’m looking forward to working with him“, thereby pouring cold water on any chance of him coming to Anfield. Bayern’s CEO Karl-Heinz Rummenigge, however, in an interview with German news outlet Kicker, urged Gotze to reconsider his future with Bayern, saying that he might have to settle with a place on the bench next season. “I had talks with him (Mario) and Ancelotti. Mario knows the thoughts of Bayern,” Rummenigge said. “Everything was clearly and seriously explained to Mario. It seems like Gotze wants to stay, but Bayern are clearly trying to push the player out. But whatever it is between the player and club, one thing is for sure, this transfer saga is far from over. Italian striker Mario Balotelli will return to Liverpool after AC Milan President Silvio Berlusconi confirmed that the Rossoneri will not be offering him a new deal. The 25 year old moved back to Milan on a season long loan last year after failing to impress in his first season at Anfield, scoring just one Premier League goal for the reds after his 16m pound switch from the San Siro in 2014. Mario, who endured a tough first season at Anfield, proved to be similarly unproductive for the Serie A outfit on his return, only managing to hit the back of the net once in twenty appearances, scoring in a 3-2 win against Udinese back in September last year. The striker will now move back to Liverpool for pre-season training. Mario started the last two league games for Milan, leading to suggestions that the striker still might have a future with the Italian club, but Berlusconi has confirmed that he will now be moving back to Merseyside. The 25 year old Italian striker was also left out of Italy’s squad for the upcoming UEFA Euro’s by newly appointed Chelsea boss Antonio Conte. 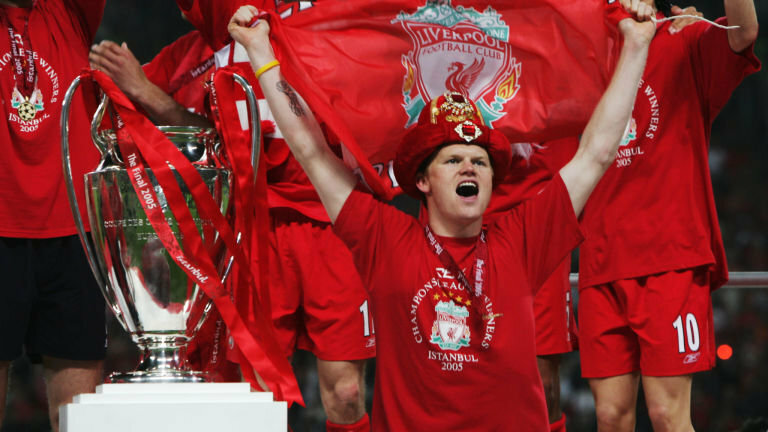 The 8th of November is a big day for DelhiKop as joining as at our screening would be a former Liverpool FC legend – John Arne Riise! Now we’re sure that all of you must have a lot of questions that you wish to ask him, but since it’ll be impossible for him to entertain everyone (because DelhiKop is a BIG family! ), we want you to type in your questions here and we’ll try our level best to get answers for as many as we can! We’ll see you all tomorrow at 100% Rock! Pepijn Lijnders insists he and his fellow coaches can already see Jürgen Klopp’s methods taking hold at Liverpool despite the ‘disappointing’ nature of the 1-1 draw with Southampton. The Reds narrowly missed out on their first win since the German coach took charge as Sadio Mane bagged an 86th-minute equaliser for Ronald Koeman’s team at Anfield on Sunday. Klopp has now overseen three draws in as many games since taking the helm, but Lijnders is taking the positives from the frustration felt by the squad after the latest stalemate. Reflecting on the result, the Dutch coach told Liverpoolfc.com: “[It’s] disappointing in the sense that Jürgen came in with a clear idea of how we wants to play and you see in the sessions and the games that it starts evolving, that the team starts developing to a common idea. “And then you get the goal! 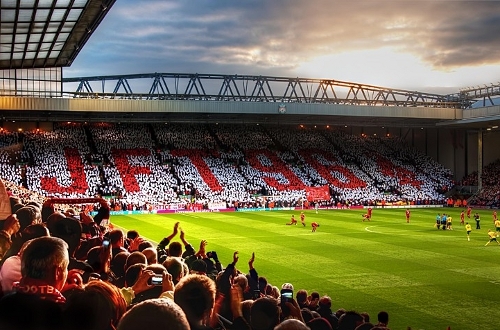 It’s in the perfect moment, close to the end, and you think that finally Anfield [will see a win]. “The way the stadium reacted it felt like a relief of course because we know that we have drawn a lot of games, we know that we are the team who always brought the ball more into the opposition half, that we were the team who were playing, the team who could control the game. “So then it’s disappointing that you get a goal against and especially from a cross coming in or a set-piece – that would probably be the only way for them to score in the last 15 minutes. While victory eluded the Reds at the weekend, the first-team development coach is adamant that progress under the new manager is already evident – to the trained eye at least. He spoke of three key elements that Klopp is trying to impress upon his players – attacking balance, counter-pressing and winning second balls – and how they were clearly put into action against Southampton. “If you have a very good defensive organisation, where everybody knows exactly how to move and how to cover each other, that gives confidence and flexibility when you have the ball,” he said of the team’s balance. “One [aspect] that [Jürgen] tries to implement and that you see is the counter-pressing – so stopping the counter – it’s a very important part. “But before that, I think the main goal that’s difficult to see in the stadium, difficult to see for the fans, is how we move when we have the ball when we are attacking. “It’s difficult to see in the stadium but our balance is getting better and better in terms of when we are attacking. Discussing the concept of the ‘counter-press’, which became a trademark of the new boss’ Borussia Dortmund side, Lijnders added: “The moment we lose it we apply aggressive pressure, you see that, everybody wants that. “That’s a good thing because it makes sure we stay high up the pitch and that’s where we want to play. And finally, on the need to battle when the longer ball comes in as a result of the press, he said: “The third aspect that you see is [opposition teams] play longer. As Lijnders explains, should these three aspects combine better over time, then the team will regularly be able to play their football where the manager wants it – much higher up the pitch. “So they are the three ideas I think you see better and better and it gives us more confidence in terms of how we approach the game and how we feel in the game,” he enthused. “One pressing, two getting close, [three] try to win it back, then we can stay high. That’s what you see, it becomes easier and easier to stay high up the pitch, it becomes easier when we win the ball to play it out to find a free player. As most of you would know, every season DelhiKop gets some special ticketing privileges, courtesy of being an Official Supporters Club. So all of those who wish to go to Anfield to watch their beloved football club play, please do let us know by filling up this form below. “It’s different. Things I have learned this week include trying to do some things for my private situation, but obviously the paparazzi know where I am going before I do. 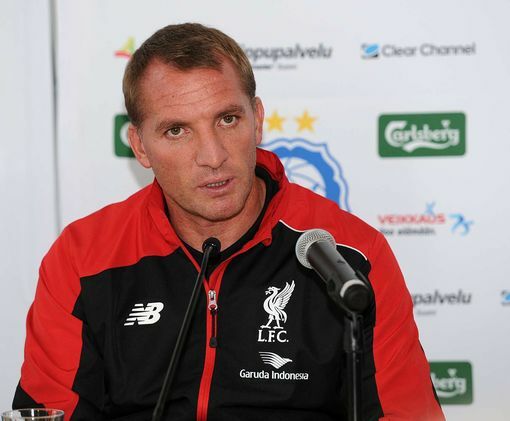 “I have been here, talking to many people, and trying to understand how LFC works, and how it is. It’s a big step, and everything is ok until now. “We have had some problems with players that were with national teams, that is normal. It’s always nervous waiting for the players to get some information. We had “not perfect” information in terms of young Joe Gomez. “I watch football all the time, and I know many things about my new players. “I never think about things like this. I don’t like being photographed all the time, who does? “It’s a funny job to wait three hours for me to come out, take one photo and go home. But it’s the situation. “I don’t read what you write. I’m completely free of expectations. My pressure that I place on myself is enough. “We have to start new, a restart. I’m not interested in what happened a few weeks ago, only in what we can do to be stable in a game, to close all our doors and, if possible, give a little bit out. “We have to be active, ready for work, and to enjoy the game. We are playing against a very good team that has been together for some time. They (Spurs) ook fine tuned, good together. We know how they want to play, but it’s important to analyse our own situation. “If nothing happens in the next training sessions, I know how I want to play. We will use these sessions to understand a little bit more. Klopp says Liverpool have to “open their chests” and get out and play at Spurs. “Gomez came here and I met him for the first time. What a wonderful young boy, tall and muscular. But he has an ACL injury. Now we have to make further diagnoses, and we will see when he gets operated on. He can count the days until he’s back. “Benteke and Firmino are back on the pitch, not team training but better and better. I don’t know exactly when they will come back, but I hope to see next week them in team training. Hopefully it can go quick, and they will be ready for playing. “Everything is different at the moment. We want to look different, for sure. “That’s what I expect, that we can see that we have worked together. I want to see more bravery, more fun in their eyes, I want to see that they like what they do. On the adaptation process for players. “Some things you can change like this. Mentality, readiness, you can change that like this. “But to get really tuned as a team, that takes time. I’m not interested in the problems we couild have on Saturday. After this game we will know more. “We want to get back trust, and confidence. More and more and more. It sometimes needs more time. A good example is the Villa game, when Milly (Milner) scored after 2 mins, and everything changed at this moment. “The bravery is to make mistakes. This is a fantastic game, football. We all love it because it can be spectacular, fast, hard. “But it doesn’t work without faults. We all, as human beings, think about them, but it’s not important to think about how many mistakes you make. “You can always get better, if you accept that mistakes will happen. It’s not the biggest thing in the world. “We have to be compact, close together tactically, and if you are close then you have options to play with and who can support you. You don’t always have to try the most risky ball if you are compact. “Yesterday I was having dinner with Zeljko and Pete, and our wives and they wanted a photo. But I had to say no, because every photo they take is on Twitter. “And it looks like every day I am in restaurants and bars! “I felt that people think it’s not too bad that I’m here. It’s a little bit strange at this moment because we haven’t played yet! Jurgen Klopp was last night confirmed as the new Liverpool manager. The German completed the formalities of a move to become the 20th boss in the club’s illustrious history on Thursday, arriving with a formidable pedigree and a track record of success.Among his first tasks as manager was to sit down with club media for a 25-minute chat on his decision to take the helm at Anfield and the philosophy that will come with the charismatic leader. Great! I have no other words for this. It was a crazy day with everything that happened in Germany and all that happened here when we landed. It’s an absolutely great feeling for me and a big honour to be here. It’s one of the best moments in my life, I have to say. I’m here together with my family – not the whole family, one son is still at home – but we are here together and it feels like a dream. What attracted you to Liverpool Football Club? Everything. All I heard about, all I read about, all I felt when I saw, not too many matches in my life, but some very important games. I love football and the intensity of football in Liverpool is very good for me. I always thought about working in England because of the kind of football and the intensity of the football, and Liverpool was first choice. Now I have got the opportunity to work here, it’s the best thing I can imagine. What did you need to consider, or would you say it was an easy decision? It was not the most difficult decision. I ended my contract with Dortmund four months ago and I thought about what I would do in the future – I had to develop myself, think about all the things that had happened in the last 15 years but then I had a holiday for four months and it was enough. It was great, but it was enough. The owners have a dream and I have a dream, and so there was not too much they had to say so I could be here. We know you decided to take that break from football, so what did you learn in that period of time? A lot of things. After four weeks, the holiday started. In the first four weeks, it was like always – I was tired because I’d worked 15 years in a row as a manager. Always until the last day in the season, I had to work because if you look at my little history in football, it was always until the end – I’m seen to be a guy for 34 or 38 matchdays. That was really hard, of course, but then I tried to relax and I felt as though I was not just a football-only guy. I could get interested in many different things and had a few perfect meetings with some very clever and smart people to talk about football, to talk about nutrition and to talk about so many things. Then I felt that if someone interesting called me, I was prepared. Now I am really relaxed. After 15 years, it was an important decision. I had six very, very cool years at Dortmund and one hard year in the last one, but as a package it was perfect. But I wanted to do something new – and now I am here. Let’s talk about Anfield – how much are you looking forward to that becoming your home and being the manager for those fans? My English is not good enough to express this! Not at the moment [anyway], you’ll have to ask me this in a few months again – but of course, I am pretty excited. I want to see it, I want to feel it, I want to smell it – I want to do everything. When I came here with Dortmund a year ago, I was really excited. I came in and saw the dressing room for the away team and asked myself if I needed some colour to paint or something like this! ‘The derby starts at this moment!’ – you go into that dressing room and you think, ‘OK, they want to kick us!’ For me, it was historical. It’s a great place – I’ve been to some places in the world with football, but this was the most special place I’d been. Borussia Dortmund’s stadium – Signal Iduna Park – is a great stadium and I had another perfect little, little stadium with Mainz 05, but this [Anfield] is the most historic place. I am looking forward to it and at this moment I don’t know what I will feel, but it will be good. Yes, of course. I hope… I’m sure! How important is it to you to have – or create – that special connection with the supporters? I understand football. If the people are not interested in football, we can put some sticks in the park and play football. It’s still the perfect game, it’s still the same game, but it’s only this game [professional] because of the fans. That’s what I know, what I think, what I feel. We have to entertain them – we have to make their lives better. That’s what we have to do because football is not so important – we don’t save lives or things like that, we are not doctors. It’s our job to let them forget their problems for 90 minutes and then they can talk for three days about the last game and talk for two days about the next game. That’s how I want to live – if I am not a manager, that’s the way I would live because I love this game so much. That’s why I try to be as close as possible to the fans, but it’s not always so possible to be close to the fans because of the job. I have to work and I need time to work, so it’s not always as the fans want but it’s as often as possible. But you feel you understand what it is to be a fan? I always understand. Maybe on Friday I can go to all the places in the stadium and someone will tell me, ‘That happened here and that happened there… Stevie G shot from here, Robbie Fowler or whoever’. That’s pretty cool. You can go wherever you want now – you’re the manager of Liverpool Football Club! Yeah, that’s the best thing! But not during the 90 minutes – that will be the most difficult thing for me, the two benches being so close. It’s so different to Germany – you could accidently hit the other coach or manager. I get a little bit emotional during a game! Do you think you’ll need to adapt to English football? How do you think you will adapt? Of course I will adapt, maybe I have to, I don’t know! But in this moment I don’t think about this because it’s football and I know English football, I watched so many games and we played against English teams. Some things are different but that’s not too important in this moment because it’s only football. Don’t forget, it’s a game and we all have the same rules, the pitches are similar in size, so it’s not so difficult. My experience is: listen, see, feel – and then think about what you change. Now I have to do these three things and then think about what I have to change or I have to adapt or whatever. I’ve [been in] football for a long time, I was a player, now I’m a manager, I don’t want to make it too complicated. It’s very important that the player can understand easily what you want because it’s a game and you have to play from here [points at heart], not play from here [points at head]. That’s the cool thing, that’s the reason why I could play too! What similar challenges do you think you’ll face here at Liverpool that you faced at Dortmund? Maybe this is the biggest challenge in this moment in world football [laughs], but I was never a guy for the easy way. I’m not interested in this. This is the most interesting job in world football because it’s not so bad! I’m completely different because I come from Germany so everything is new now and everything is ‘we have to be concentrated’ because ‘what does this German guy want?’ and ‘I have to listen’. So that was a good move and in the end we have to start to work and we will see. I know what I want, but I don’t want to tell it to you. First, I have to talk to the players, of course, we have to find a common way. We will find a common way and who wants to do what I sometimes propose! [They] can be a good friend of mine [laughs] and it’s not such a bad thing to be a good friend of mine because I am really loyal. How do you assess the squad that you’re inheriting here at Liverpool? It’s good, it’s good. I’m here because I believe in the potential of the team. If Liverpool ask me and I see the team and think ‘oh my God’… no, no, no. In this moment, we are not the best team in the world – who cares? Who wants to be the best team in the world today? We want to be the best team tomorrow or another day. That’s all. What I saw from outside is absolutely OK. I saw some good matches and some not so good but it’s normal in football you have some problems, you have to solve them. The important thing is we have speed, we have technical skills, we have tactical skills, we have good defenders, good midfielders, good strikers, wingers. Now we have to see who is fit for the first game against Tottenham and then we have to make a team for this game, then we can start. I’m not a dream man, I don’t want to have Cristiano [Ronaldo] or Lionel [Messi] and all these players in one team. I want these guys [the current squad], it was a decision for these guys. Now we start working. Can you tell us what style of play we can expect? A wild one [laughs]. In football, all the world-class teams play possession football, that’s cool. I like to watch this; Bayern Munich, great team, great club; Barcelona, yes; Real Madrid; maybe on some days, Manchester City. But nobody starts as a ball possession team. You cannot start and say ‘OK, we have the ball and the other players have to wait’. The first thing, always, maybe in life, you need to have a stable defence. That’s the first thing, always. Because you can only stay confident in a game when you know not each offensive move of the other team is a goal. That’s the first thing and when you start a development nobody starts a development from the top of the table, only a few teams. You always have a little bit lower position and our position is absolutely OK, so we can start our development today, tomorrow, when the players are back. It’s good for me to come here and have a little bit of time to come into the club but also not so good that we cannot start with training immediately. I think we can start together maybe Wednesday next week when they are all back and we can see what we have to do. The kind of football [I coach] is emotional, I like this, I like the emotion in the game. I like the speed in the game, you have to be a real man or woman in the game – it’s hard, all things are like this. If I talk about aggressiveness, I only talk about aggressiveness against myself. I have to be harder, feel no pain or something like this, and not aggressive against the opponent because I’m not interested in fouls or things like this. I will see what is possible with this team and then we will decide how we start and when we start we’ll know more. We’ll see what we do in the next game against Rubin Kazan in the Europa League, then it’s Southampton. We have many games, maybe we can change something, maybe we have to go one way. If it’s possible, can we be the hardest team to beat in the world? Let’s try to be this. If you are this, it’s not that far away to be a team who can win games. First of all we have to talk with all LFC fans, talk about what are expectations. Because expectations can be a real big problem, it’s like a backpack of 20 kilos, it’s not so cool to run with this! We have to talk about this, we have to think about this, and then we can start. Do you think you need a lot of time to implement your style and philosophy? Of course it needs a lot of time for the end, but not to start. I’m not here to promise you will see against Tottenham the absolute new LFC – but some of the new LFC would be cool. That’s what we’ll try to do. Everything in life takes time. To be an adult takes time; to become a football player takes time; everything takes time. The only thing nobody gives time is development. If somebody feels they have waited enough for success – restart and then everything can happen. There has been a lot of media talk about the transfer structure within this football club. What is your take on it and what conversations, if any, have you had with the owners about that? It’s a really funny thing. It was absolutely no problem between FSG and myself, we talked about this. It’s nothing. If two smart, intelligent, clever guys sit together on a table and you both want the same, where can be the problem? We all want to be successful. The only thing for me is to have the first and last word. I don’t want to spend money the club doesn’t have, I don’t want to hold a player that doesn’t want to stay. I have to work all day with these guys. Nobody will sell a player I want to work with, even if it’s a good deal. Nobody wants to transfer a player without my ‘yes’. So everything is OK, I don’t need more. Will you be bringing any of your backroom staff? Of course. My two ‘brothers-in-mind’ – Zeljko and Peter, great guys. You will feel it when you see them – they are cool, they are football maniacs. They work pretty hard and they are my perfect partners in this job, because as a manager you always have to make decisions and always have to think about so many different things. In my opinion, it’s very important that you have somebody you can talk to. We can talk about everything. I make the decisions, of course, but I need very good people around me. Not only these two guys – I’m really looking forward to meeting the rest of the LFC staff, I want to learn from them and use their power. Of course, that will take time, when I know what they are all able to do. At the moment, we start with these three guys; we have Pep and John in our training team, two Dutch guys. It’s the first time I’ve worked together with Dutch guys – it’s not so far away from Germany so we will see, maybe we can talk in German! I’m looking forward to it. What are you hoping to achieve here at Liverpool, short-term and long-term? Success. When you work in Germany, of course, I was watching British football but I’m not so inside that I know what you have to reach. There’s Manchester City, Manchester United, Chelsea, Arsenal, Tottenham – they want to be successful in the table. Why should they reach what we don’t? It’s important what we can do together to change our situation. At the moment, all of the LFC family is a little bit too nervous, a little bit too pessimistic, too often in doubt. They all celebrate the game, it’s a great atmosphere in the stadium, but they don’t believe at the moment. They only want to see five years ago, 10 years ago, 20 years ago. History is great but it’s only to remember. No, we have the possibility to write a new story if we want. For that, we have to clear a few things. Maybe we can do that in the next few weeks. [We want to be] as successful as we can be. I’m not the guy to say ‘this year will be the best year in the history of LFC’. If it happens, we can celebrate. If not, we have to work further. Finally, what is your message to the Liverpool supporters? Talks between Liverpool FC and Jurgen Klopp’s camp seem to be progressing well by the looks of things. Here is the latest on Liverpool’s pursuit of the German manager, as reported by top Merseyside journalists. “Liverpool’s talks with Jurgen Klopp over the vacant manager’s position at Anfield are progressing well, according to Sky sources. 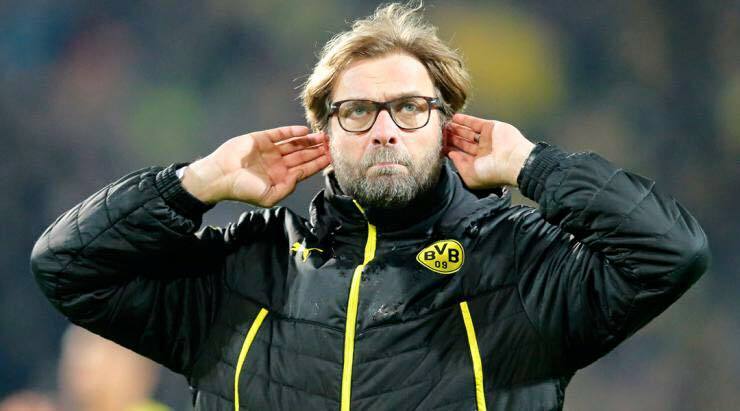 “Liverpool hope to have Jürgen Klopp installed as their new manager by the end of the week and that the German has informed them of his desire to bring Peter Krawietz and Željko Buvač, who formerly worked with him at Dortmund, to Anfield with him. FSG are also prepared to allow Klopp to have final say on signings and that they are interested in offering Steven Gerrard a role as part of the coaching staff shake-up, as long as Klopp is in favour of the idea. 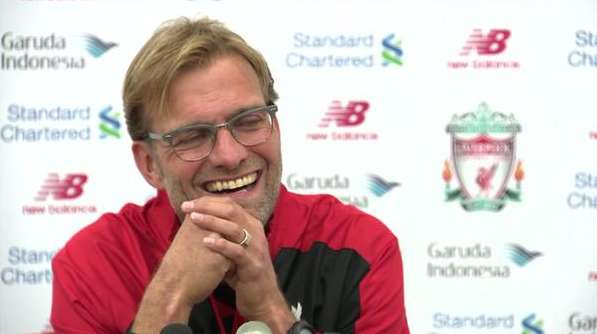 “Liverpool are increasingly confident that Jurgen Klopp will agree to become the club’s new manager. The Reds officially opened talks with the former Borussia Dortmund boss on Monday – 24 hours after Brendan Rodgers was relieved of his duties following the 1-1 draw with Everton at Goodison. Klopp has indicated his desire to spearhead the club’s revival and Liverpool hope to confirm his appointment by the end of this week, if everything goes to plan he will pen a three-year contract. Negotiations are being conducted by Ian Ayre with the Liverpool chief executive liaising closely with Boston-based owners John W Henry, Tom Werner and Mike Gordon. Former Chelsea boss Carlo Ancelotti also came under serious consideration but Klopp has always been Liverpool’s No 1 target to succeed Rodgers. Fenway Sports Group were interested in Klopp back in the summer of 2012 but at that time he informed them he wouldn’t be leaving the Bundesliga outfit. 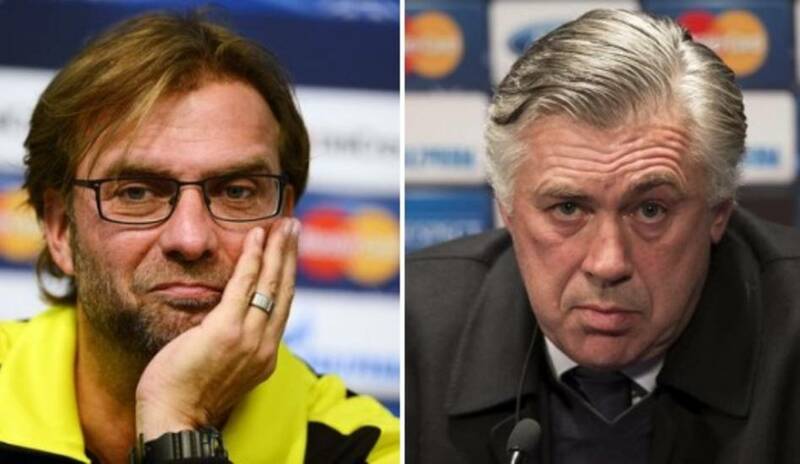 Former Borussia Dortmund boss Jurgen Klopp, former AC Milan, Chelsea, PSG, and Real Madrid boss Carlo Ancelotti, and current Ajax manager Frank De Boer are some of the names linked with the Anfield job. While speculation over who becomes the next Liverpool manager continues, let us look at what some of the reliable journalists and correspondents are saying regarding the vacant Anfield job. ‘Jurgen Klopp is understood to be Liverpool’s preferred choice and is likely to agree the existing ownership model of FSG. ‘Jurgen Klopp has emerged as the frontrunner to become the new Liverpool manager and the process is already under way. Klopp’s camp have made it known that he would welcome an approach. ‘Jurgen Klopp is the leading candidate to be named as Liverpool’s new manager. “The process of appointing a new manager is well underway at Liverpool, and sources tell us that contact has already been made between Liverpool and Klopp’s and Ancelotti’s representatives. “Liverpool will open discussions with the former Borussia Dortmund coach Jürgen Klopp, after ending Brendan Rodgers’ three year reign at Anfield. Having made it clear how eager he is to move to Merseyside, Klopp is expected to hold talks in the coming days and is seen as a more likely fit for the club than Carlo Ancelotti. The Italian will still be sounded out, but Liverpool plan to name Rodgers’s replacement before the club’s next League fixture against Tottenham Hotspur on Oct 17. 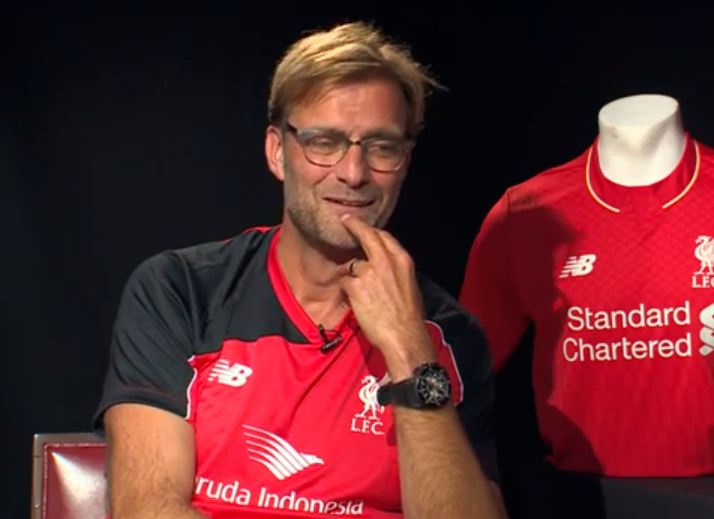 “Liverpool intend to open talks with Jurgen Klopp this week. I’m told he’s open to idea of moving to Anfield. Ancelotti another option. Liverpool FC​ will hold talks with former Borussia Dortmund manager Jurgen Klopp in the coming days, confirmed James Pearce of the Liverpool Echo. Sky Sports has also confirmed that Liverpool are looking to replace Brendan Rodgers with either Klopp or Carlo Ancelotti. Other names linked with the job are that of Ajax manager Frank De Boer, Southampton boss Ronald Koeman, and Swansea boss Gary Monk. Other reliable sources have confirmed that landing either Klopp or Ancelotti is priority for the Merseyside club at the moment and all the other names linked to job are just speculation. 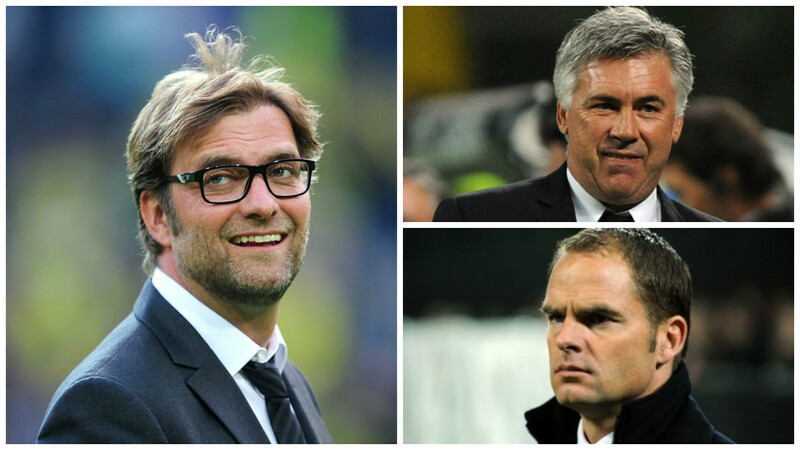 Jurgen Klopp is favourite at the moment to become the next Anfield boss, with Ancelotti next in the pecking order. Two tastes of the Merseyside derby last season were all Alberto Moreno needed to get a firm understanding of what clashes between Liverpool and Everton mean in the city. The neighbours from either side of Stanley Park will resume one of the most passionate rivalries in world football tomorrow afternoon for the 225th edition. In his debut campaign with the Reds, Moreno started both the home and away games against Roberto Martinez’s side, each of which were drawn. But although the Spanish defender is still waiting for his first derby victory with Liverpool, he delivered as wise an assessment as anyone about the match’s importance ahead of this latest Goodison Park duel. He told Premier League Productions: “We know derbies are one-off games, but this one has a particularly individual aspect to it. “We know that the whole of the city can’t wait for the day to come, everyone has been waiting for it. You do everything to get the points for your fans. “It is something etched in my memory. I’ll never forget those two occasions – we didn’t manage to win either game last season, we had two draws. Liverpool got back to winning ways in the Barclays Premier League last weekend as they defeated Aston Villa 3-2 at Anfield to move onto 11 points in the division. Their local rivals are just one ahead and could be leapfrogged via a win on Sunday, with the early standings very much in fluctuation. 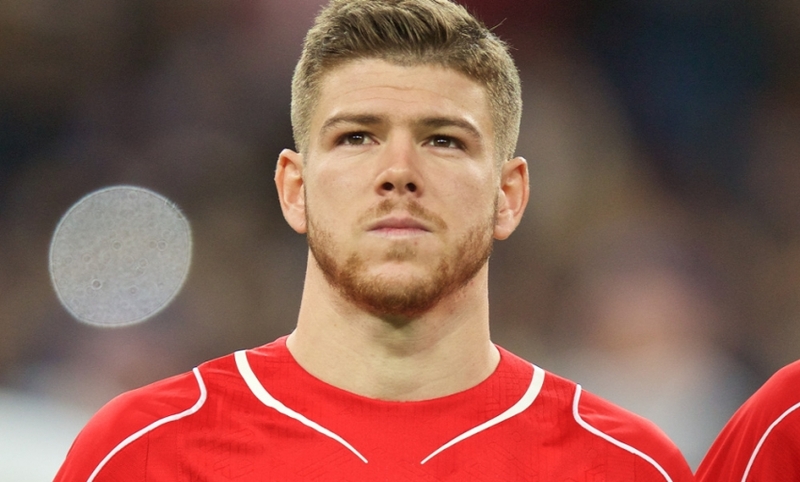 “It’s such vital game for us,” said Moreno. “If we were to pick up three points, it would help us get to the upper reaches of the league and fight for what everyone at this club really wants – which is to be considered as one of the contenders at the top of the league. The 23-year-old’s grounding in derby clashes began before he arrived on Merseyside – back in Spain, at former club Sevilla and their heated exchanges with Real Betis. “Sevilla-Betis is similar, pretty much the same as Liverpool-Everton,” he added. “Two sets of fans in a divided city, a fantastic atmosphere and really tough games. “There is a lot of stick given out on and off the field. Sometimes the fans get a little bit feisty with each other as well in Seville. They can’t wait. The 29.5 million summer signing faces spell on the sidelines after back injury. Roberto Firmino is facing a spell on the sidelines for Liverpool after he was withdrawn from Brazil’s squad for next month’s World Cup qualifiers. 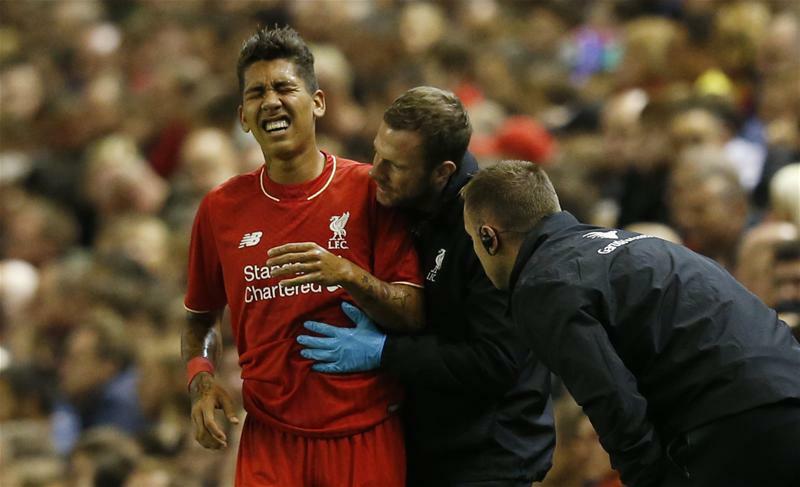 Firmino has undergone scans on a back injury after falling awkwardly during the Reds’ Capital One Cup third round tie against Carlisle United on Wednesday night. The 23-year-old left the field in obvious discomfort before half-time, with Brendan Rodgers’ side going on to progress 3-2 on penalties after a 1-1 draw with the League Two side. The extent of the injury, however, is still unknown. Liverpool boss Brendan Rodgers will hold his pre-match press conference today ahead of their Premier League fixture against Aston Villa on Saturday. Let us see if Rodgers would give us a clearer picture as to how much time the Brazilian faces on the sidelines.